Art appreciation is an innate ability we all possess. It’s reactionary and involuntary but not always fully understood. We tend to look for educators to not only gain deeper knowledge for ourselves but also to also be ambassadors for what it brings to our world. The world of comics can be overwhelming for newcomers and habitual readers alike and seeking out trusted opinions is a natural path we often take. Personally, one of those opinions I was happy to find was that of Hassan Otsmane-Elhaou. For years, Hassan has been presenting lecture style theses and dissertations on pages after pages of comic art in his YouTube series, Strip Panel Naked. Last year, he also launched a behind-the-scenes type magazine entitled PanelxPanel which has been generating incredible interviews and statements about the medium, and even got nominated for an Eisner. Simply speaking, Hass has been on a conquest to show everybody just what this comic book medium can do. Perhaps, Hass has a unique perspective from his writing credits and as a working letterer in the industry. Believe it or not, he also finds time to speak about the craft with fellow letterer Aditya Bidikar on a podcast Letters & Lines. Being fortunate enough to gain his attention and agreement for a conversation, I wanted to turn the tables on the interviewer to get a little behind-the-scenes on his own projects. Get to know: Hassan Otsmane-Elhaou! 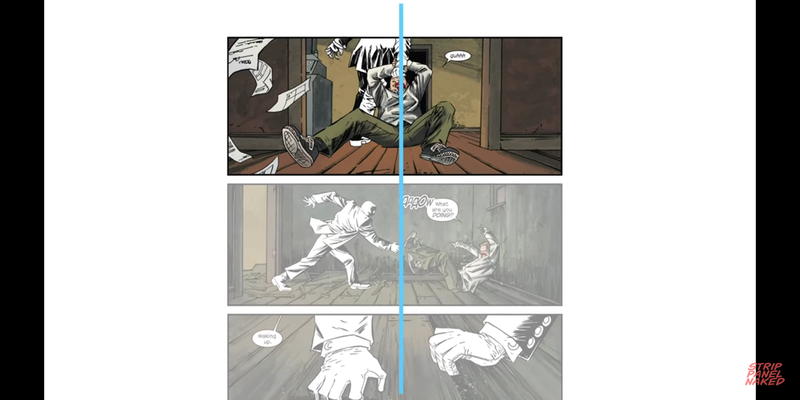 Mikey P: I became hooked on Strip Panel Naked when you did a piece on Declan Shalvey’s page structures in Moon Knight. I was captivated by how the entire video was a dissection on just a few panels and gave me so much more appreciation of what I had already read. I felt, and still feel, inadequate as a reader for not even noticing half the things you point out in every video, but in a good way. It makes me want to strengthen my comic reading/creating I.Q.. Was bestowing this education the cause for your crusade or was it just an overwhelming love of the medium you needed to scream about it from the balcony? Hassan: I think I’m just a fan of seeing how things work, and how decisions shape the impact of a story. My background is in filmmaking, and a big part of that education was dissecting films and seeing filmmakers would do, what decisions would be made and for what effect. So it was kind of baked in when I was studying, and I just applied the same thing to comics, and would notice certain visual elements that were interesting. I did the YouTube series because I saw all the film essay channels, but couldn’t see anything similar for comics, so thought I’d do it myself! Mikey P: There are some clear cut themes in your presentations but how do you go about choosing your subjects? Do you maintain a checklist of topics or do you wait for a page to speak to you? I see recent issues get treatments and I imagine they they jumped in front of a long line…. Hassan: It’s a bit haphazard, but it’s mostly things I’ve read that I’ve enjoyed, or comics I’ve loved that I go back and try and figure out what I liked so much about it. My time just ends up being limited at the best of times, and any time I’ve really planned a bunch of episodes, I’ve read something new in the meantime and decided to pivot and write about that instead. I think if I plan too far ahead I lose interest in those episodes at the end, so I try and balance it between keeping on schedule (though I’m not great at that) and still being interesting for me. If I lose interest, it won’t be interesting for people watching. Mikey P: If I had to name the greatest takeaway from your videos it’s the reminder how much comic creation is a series of decisions. Some of those decisions you point out, while purposeful, can be really subtle. Was there ever an artist or some aspect of a page where, upon reflection, you still didn't quite understand why a particular story telling decision was made? Hassan: Ooh. I mean, there’s level of decisions I think. Some stuff that I talk about likely wasn’t a specifically conscious decision, but is informed by other work, or just an understanding of aesthetic as it goes. So in that regard, I don’t think there’s many times where I don’t get what someone is doing, I usually think it’s pretty clear. There are pages and scenes where I think they could have had a stronger, more direct throughline, but even in a weaker page I think you can see intention. Maybe? I might not have come across the right page yet…! Mikey P: These days, your dilemma is not not only deciding what you want to discuss but also where to discuss your topics. The idea of a long form interview and essays on the medium was in your brain shortly after your work at Comics Alliance. Eventually, ignoring workload and perhaps reason, you launched PanelxPanel, which has since gone on to acclaim and set the standard on how we should be discussing comic books. What more did you feel needed to be said about the artform when you launched this platform? Hassan: I don’t think it sets the bar really, but it sets a bar for me in terms of a thing that I wanted to read. And that’s probably been the reason behind PanelxPanel and Strip Panel Naked, just filling a void I noticed and wanted, and no one was quite doing it. For PxP I just wanted writing that was interesting and accessible and dove into the making of work. The first half of the magazine has a bunch of essays all on the same comic, and I love getting all these different interpretations and aspects of a work, because it makes the comic even more interesting for me (especially exciting if I already love the comic). Mixed with all the craft stuff we do from artists and writers I love, it’s just this magazine that works for me, and I hope others, too. Again, it’s not so much that things were missing from discussion about the artform, but there was definitely a very clear feeling from me that I wanted something that was accessible and wouldn’t talk down to the reader. I’ve read other discussions on comics and craft that aims for that kind of highbrow audience (though I don’t think PxP fits in that category), and the writing has put me off numerous times. I wanted writing that spoke about the work, not as much about how clever the author of the piece was. It chats with you in a discussion, not just talking at you about how clever it is. I think (hope?) we achieve that with the magazine. Mikey P: You did some amazing Creator Editions of Strip Panel Naked. Interviewing Tradd Moore for example, he talks about doing a page of tight shots, simply because it’s quicker to draw than full bodies when under deadline duress. So much of that good stuff getting made in a realm of limitations. Facets like that we would only get straight from a creator’s mouth. Were these types of conversations what led you to interviewing creators and teams for your PanelxPanel features? Hassan: Yeah I think everyone likes hearing directly from their favourite creators and creative teams. I loved those Creators Editions, and unfortunately just had to slow down with them as more and more time was eaten up by other projects, but PanelxPanel felt like a good opportunity to keep that aspect of what I love going, just in a new way. I like to involve as much of the creative team as possible in these, too, because again, just for me, it’s fun to see how it all comes together from everyone’s perspective. So we’ve had issues that interview editors, writers, artists, inkers, colorists and letterers all from the same comic. Mikey P: There has been a clean look to PxP from the start, driven by words and not overburdened with images. It’s discussion focused over visual fixation which might be surprising to some picking up a magazine about comic books. Strip Panel Naked videos are spent almost entirely on a few pages. In a world of increasing stimulation and distractions, is this your statement to slow down, absorb, and admire things more? Hassan: I actually want to try and increase the way we deal with images in the magazine, but yeah there’s definitely a feeling of just enjoying this thing, and getting more mileage from this comic. As I said before about my own feelings on media, I love watching a film and then going and reading something in Sight & Sound (or whatever) and getting a new interpretation of that thing. I remember I after I saw The Witch I read some piece about it in Sight & Sound and immediately had to go back and see the film with this new viewpoint and see how that changed my experience. It made watching the film more interactive, almost more of a discussion. And I wanted to do that with comics. Mikey P: You get regular contributions from Tara Marie and Deniz Camp. How much were their, and other’s, willingness to contribute a factor in PxP getting made every month? Hassan: When I first started, I was pitching the idea to Deniz actually. As you mentioned before it was after Comics Alliance closed, and though I had offers to take the written version of Strip Panel Naked to a new home, none of them quite had the feeling that CA had. So instead I was figuring out what to do, and I’ve always loved magazines, so went that route. But Deniz was a keen contributor, and obviously Tara and a bunch of other people we’ve had in the mag I knew from my time at Comics Alliance. The writers seemed to be engaged with the idea (I give pretty open briefs, I guess, and like to work with everyone to refine the pieces) which always makes it a lot easier! Hassan: Haha not a curse so much, but it definitely affects the way you read stuff. I have to really try and just sit and read and enjoy a thing, and not start looking at ways to pull it apart. It’s just a thing in my own head, really, learning how to switch off that part of me that likes to work, and is always looking for ways to deconstruct a page. Yeah, sometimes you just want to enjoy a thing, but I make that a bit hard for myself unfortunately. Mikey P: I also appreciate that you use your powers for good. So many times, the art field is saturated with critics who might share your abilities, but chose to tear down the industry rather than lift it up. Was this intentional or are you as naturally uplifting as you sound in your praise of creators? Hassan: I mean, there are enough writers out there who focus on the negative side, or are very critical in their approach, and honestly we need that (maybe we need more of it). But it’s just… Like I know I wouldn’t really be happy doing that. Like it wouldn’t fill me joy, right? I remember speaking to someone before about understanding the use of any critical writing, and for me it was always to learn how to see something different, or how to learn something new I can use in my own work. I think learning what not to do is good, but it doesn’t really help me with what to do. I’ve always found someone showing me a cool new technique or style makes my mind work better than someone telling me why a style wasn’t working. Most of these answers are just variations on a theme, haha. It’s really just what I find interesting at the end of the day. Mikey P: How has your experience as a filmmaker aided you in your comic assessments and interviews? I like the comparisons you draw from films - the warm colors to convey heat in Do The Right Thing paralleled to its use in Redlands for example. Hassan: Yeah that’s my background, and probably the field of film criticism is a lot deeper and richer than comics criticism, so I found it easier to find reference texts that relate to film than that relate to comics. I often use Patti Bellantoni’s If It’s Purple Someone’s Gonna Die for colour theory, for example, but I don’t think anything remotely as brilliant exists for comics. Mikey P: Lettering arguably gets a rap as one of the most forgotten aspect of the creation process. It’s one of those things nobody maybe realizes the difficulty until they try to do it. How has working as a professional letterer on books such as Shanghai Red aided your perspective in what you do in PxP and SPN? Hassan: Lettering is the most important part of a comic! Probably! Maybe! I don’t know how much it affects what I do with the magazine and the webseries really, but it helps know the process more in-depth. I think probably the other way round has helped more, dissecting things for the webseries helped me approach lettering comics in (I think) a more interesting way. 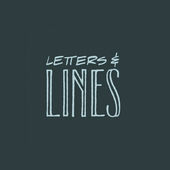 Mikey P: I didn’t expect to find a podcast about the craft as fascinating as I do in Letters & Lines. Your conversations with Aditya Bidikar open my eyes even more to the minor maddening details of the tail size connections, to the obvious imposing sound effects. Despite the old expression that the best lettering is the one readers don’t notice, I feel there is a growing awareness and appreciation for lettering. Do you find that true as well? Hassan: That’s good to hear! Thank you! Yeah I guess, but it’s probably always going to be limited. Most readers likely don’t care that much about who is making their thing as long as they’re enjoying it, and then if so, always on a sliding scale. Letterers will probably be at the bottom of the list forever, there’s only a select few people who are going to care enough to take notice and follow particular letterers… But it’s like the sound designer in a film or something, where it’s usually in support of something else as opposed to the main attraction. Mikey P: Way back before you started any part of your journey, what was the one comic, or creator, or one page, which triggered this passion? Hassan: Watchmen was the first comic I read that really, really blew me away. I think that was what solidified my love of comics as something beyond just loving superhero comics and that sort of thing. Definitely Watchmen. Mikey P: I feel like the medium and the industry has grown so much from where it was when I first started reading decades ago. What is your take on the current state or the industry? Where would you like to see it go? Hassan: We talk a little about this in December’s issue of PanelxPanel, but I just want it to keep making good comics with a range of creators from all sorts of backgrounds. I feel like comics has an interesting playing field because it’s barrier for entry is lower financially, so it’s somewhat more accessible than say, film or theatre. Especially for working class voices, or voices traditionally left out of the arts because of funding. So I just hope comics still promotes an environment and opportunities to have traditionally underrepresented voices being able to make fantastic comics, and is able to support that. Mikey P: Who’s a dream creator you have yet to interview? Hassan: Of course it’d have to be Alan Moore. I got to throw a few questions to Dave Gibbons for an early issue of the magazine, which was an absolute delight. I did get to letter a short by Alan Moore and Melinda Gebbie for the 24 Panels anthology though, which was something childhood me would never have believed. Mikey P: Being at the end of the year, as one tends to assess their past and adjusts course for the next year, what more are you hoping to achieve? Hassan: Just to keep being able to make stuff that people like, and being able to pay my bills. Small goals! Next year I’m hoping to launch an anthology comics, called PanelxPanel: Presents, and a series of longer one-off essays from various writers called PanelxPanel: One Shots. Just expanding a little of what PxP does, I guess. Mikey P: Half-stealing a question from a PxP feature 5 Questions - what is the one interview, or presentation you are most proud of? Hassan: I think probably just the very first Strip Panel Naked on Moon Knight. It kickstarted a whole bunch of cool, weird new experiences and work for me, so I think that is the thing I’m most proud of, just doing that and getting it out in the world. For interviews, I think the piece we did for Immortal Hulk in PanelxPanel #15 was really good fun. And also organising for Chris Brunner (who I loooooove) to interview Brian Stelfreeze in an early PanelxPanel issue was great. Mikey P: This is all a ton of work. What keeps you going? Hassan: It’s a combination of fun, and not being able to let people down. We’ve got subscribers to PanelxPanel, and people that are excited about the next issue, so I have to get it done to not let anyone down. But really it just comes to fun. I’m lucky in that these things I did because I’d enjoy them have also found an audience with other people who enjoy it. So for me I don’t want to change that process, I try and focus on work I think is enjoyable and interesting to me, and hopefully that means it stays fun. Mikey P: I will say, being a Giants fan, it's hard when I see you rooting for the Cowboys but that's ok. What are some of the things outside comics and movies which catches your attention? Like you mentioned though I love the NFL and I’m a big Cowboys fan. My partner is a Bengals fan, so once every four years it can get a bit heated, but yeah, I try and watch as much as possible every week when it’s season time. Otherwise I just walk, really. I like to go on long meanders with the dog, and try to get a good few miles in at least every other day, if not more often. Otherwise… I’m working! Mikey P: I was interested to see one of your films Supermen: Story of British Wrestlers. The bones of wrestling always felt were like raw comic storytelling elements - quick identification of the heel and face and providing fans a little personality to root for (or against). Is wrestling a hidden interest of yours? Hassan: It was, yeah, but I have less time to keep up with it so a lot of it slipped past me. I think I liked wrestling for the same reason I like cinema or comics, because there’s this interesting hidden part behind it that makes the finished thing all the more engaging for me. Wrestling is insane, honestly, and probably even more so when you see what goes into making it. The documentary was an excuse to look at it from the perspective of people doing it for basically no money, and what goes into making it work, and why they’re captivated by it. I think there’s a lot of parallels to draw from their responses to comics, to film, to acting, theatre, magic, most creative expressions. Mikey P: What advice to you give the unknowns out there, working in their spare time on comics? Hassan: It’s pretty boring advice but just make stuff, and make the thing you want to make. Comics especially seem to demand a lot of time and work and give you very little money in return (comparatively), and so I don’t think you’d really last long (or at least be happy) forcing your way into making comics by telling stories that don’t interest you because you think they’re more commercial or whatever. So make comics, make a bunch of comics, but never make the thing you don’t want to make. Try and get each new work to be some expression of you, some distillation of you and your ideas and imagination and approach. Even if it doesn’t catch on, it’ll be something you’ll be proud of. An enormous thank you Hass for gifting me some of that rare free time of yours! I urge everyone reading this to follow Hass and subscribe to everything he does. I couldn't put more emphasis on the value he provides. Go! Now!